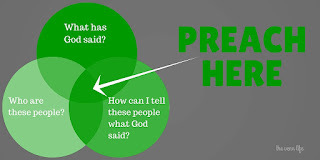 Sermon Leftovers: Pastor: How do you find the Sermon Sweet Spot? How do you know you have the right message? 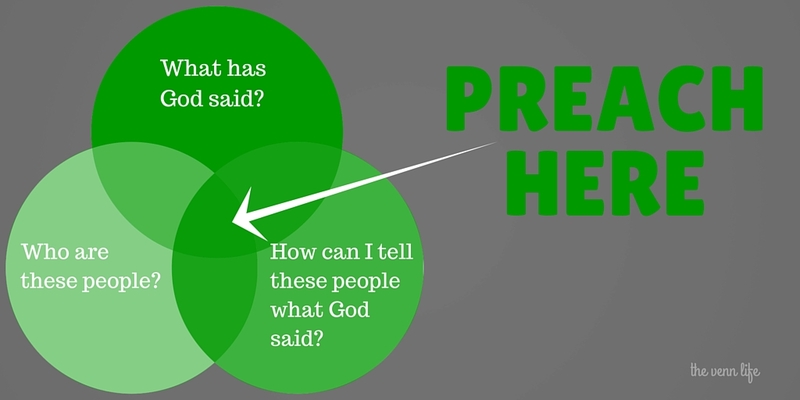 Every preacher approaches their messages differently. We all have different methods and patterns and systems to help us create the final draft of our sermon. I’m not about to suggest there is only one way to do it (particularly because I use different methods just about every week); however, I am going to suggest three questions that might help you focus in on the most important things you need to say. I don’t suppose this is a complicated question. What God has said is contained in His Word. I may be old fashioned, but I still think the content of every sermon ought to flow from the pages of the Bible. Not every congregation or audience is the same, and how I preach God’s Word to them ought to reflect who they are. Not everyone can always know exactly who their audience is, but if you are a pastor, you MUST spend regular time learning who the people are that sit in those pews every Sunday. Every Monday I spend time reading notes, comments, prayer requests and praises from my brothers and sisters at The Gathering. They are kind enough to share their lives and thoughts with me by writing on the back of our “connection card” every Sunday. I try to email every one of them with a short note of encouragement so they know I enjoy hearing from them and want to hear more. I choose to take the road less travelled. For me, the most difficult element of sermon preparation is specifically crafting my words to particularly apply to my friends in the pews. I find it much more stressful to choose what I will not say, then to determine what I will say. Not everything I learn in my sermon preparation is what the people on Sunday need to learn. In fact, much of it is not what they need and could possibly distract them from what God truly wants them to hear. If I could preach this sermon to any congregation at any location; I still have work to do before I preach it to my congregation at my church. Discover what God has said.Determine to whom you’ll be speaking.Discern what they need to hear from God. My family an I are so grateful for your teachings.